6) To format the partition, Select Format the partition using the NTFS file system (Quick) and press ENTER to continue. 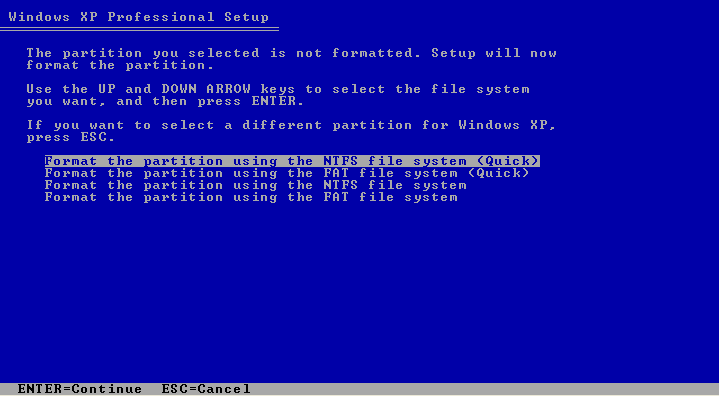 7) Please wait while setup formats the partition, don't do anything wait for few minutes to complete 100%, it depends on the size of the partition. 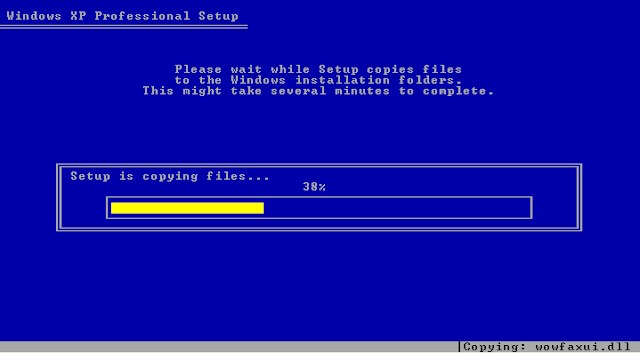 8) Please wait while setup copies files to the Windows installation folders. This normally take up to 5 minutes, don't do anything wait till it's 100%. 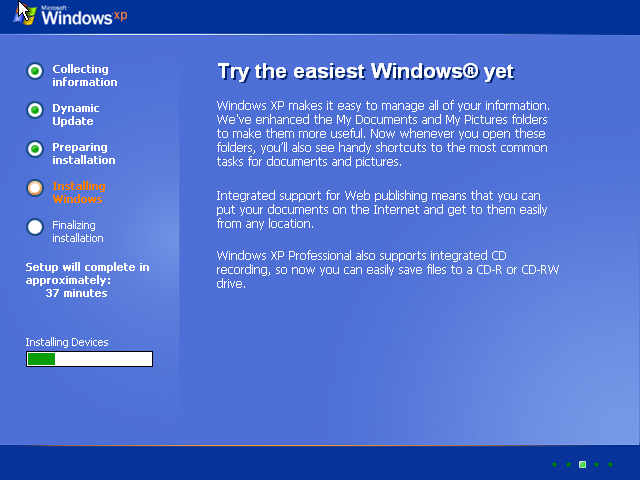 9) In this step you will see the below message on the screen "This portion of setup has completed successfully. 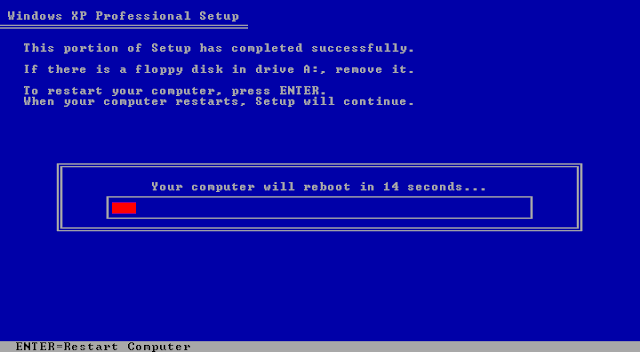 Press ENTER to restart the computer or wait for 15 seconds to restart the computer automatically. 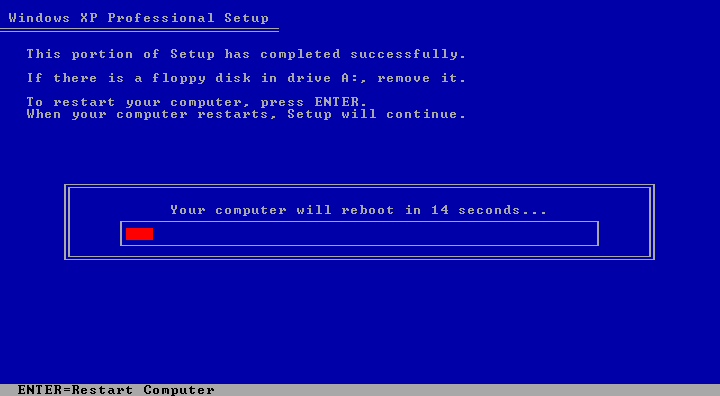 10) After restart the computer you may ask to "Press any key to boot form CD" do not press any key just wait a few seconds and you will get the below screen Installing Windows.